Basements and crawl spaces are notorious for their moisture issues and musty smells. These problems are serious, as they can lead to structural issues, affect the usability of your lower level, pose a health hazard due to poor air quality, and decrease the value of your home. 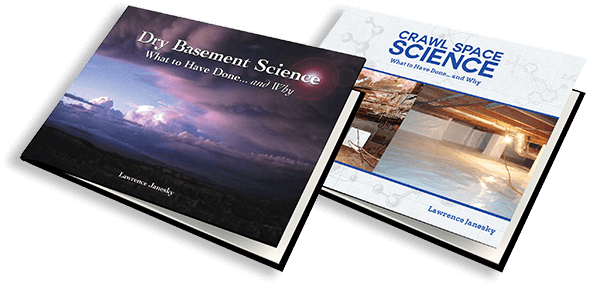 In this guide, we've pulled together clear explanations, diagrams and resources on on how crawl spaces and basements develop moisture issues - because understanding the causes of these problems is the first step toward identifying effective solutions. We then review different approaches to drainage and waterproofing as well as other repair options. Wet Basements What causes basement water problems and how to fix them. Crawl Spaces Discover the causes behind crawl space problems and ways you can fix them. Mold & Mildew Learn about the causes of mold, structural damage and mold prevention. Moisture Learn about the causes of high humidity in your home and how dehumidification can help.